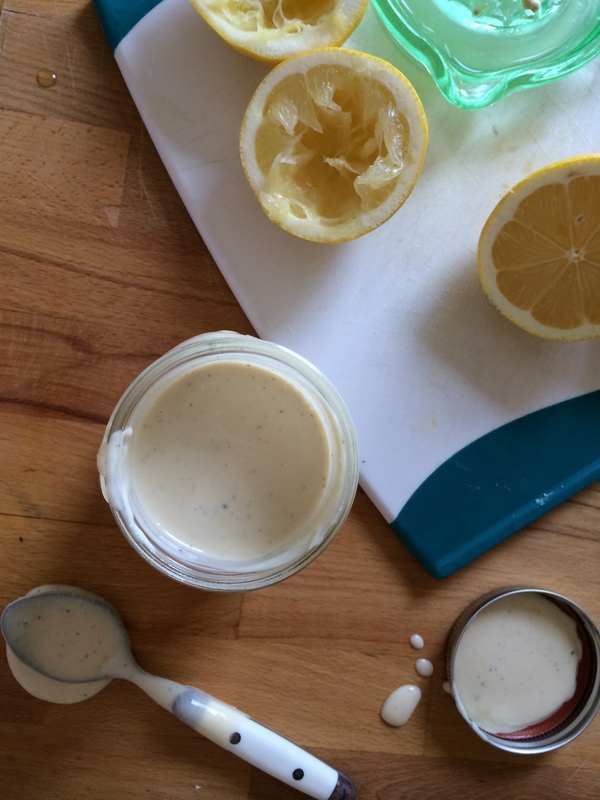 Homemade salad dressing vs. store-bought salad dressing. No comparison. Homemade always wins. Every time. C’mon…we all know it’s true. What do I normally do on a weeknight when it comes to salad dressing, you ask? I simply squeeze a little fresh lemon juice onto some baby greens, toss with extra virgin olive oil, salt, and pepper, and top with some shredded parm. 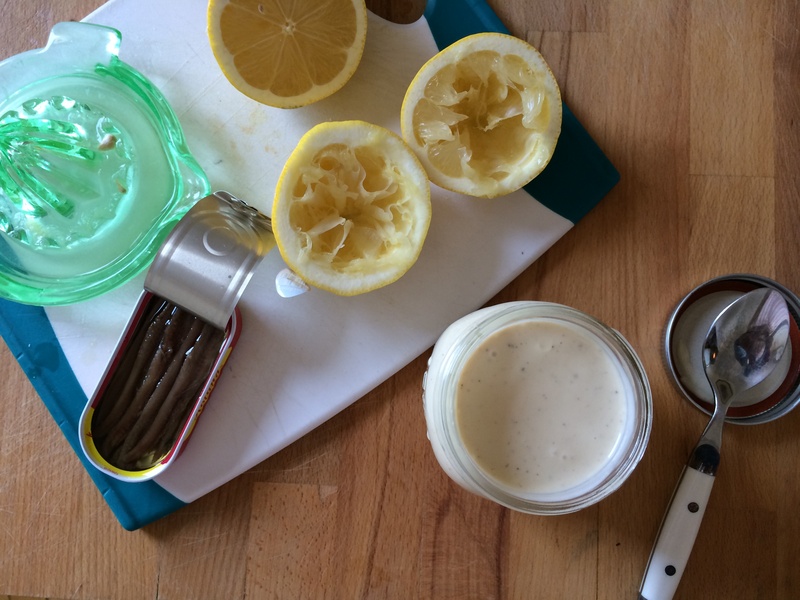 When I’m clamoring for a bit more, I’ll go with a rich, cheesy, garlicy homemade Caesar. Nothing complicated or time consuming in this recipe. Just add ingredients to your blender or food processor and give it a whirl until emulsified. I love the addition of anchovies in this recipe, (I think they add a great authenticity and depth of flavor) but you could easily leave them out. 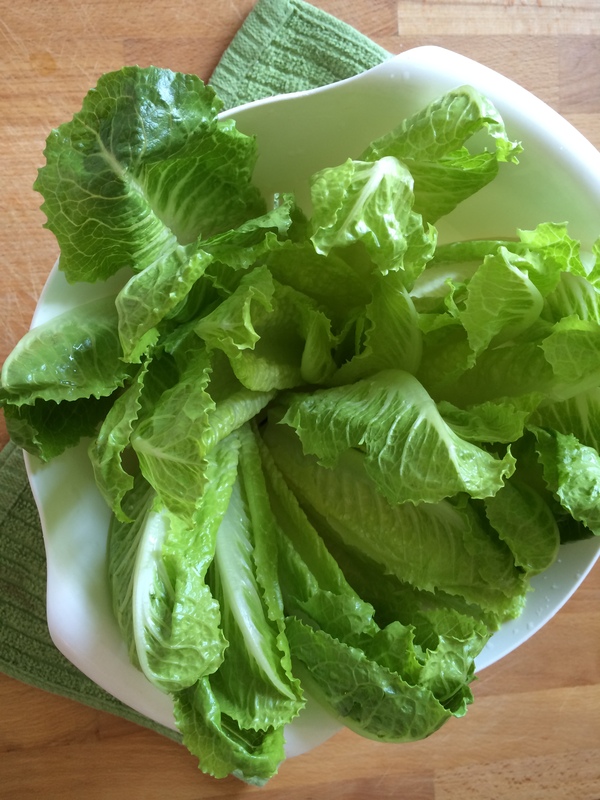 Toss with romaine lettuce, shaved Parmesan cheese, and croutons, and you have yourself a restaurant quality salad in minutes. You won’t find store bought dressing in my fridge. Homemade is just the better pick. Combine all ingredients in a blender or food processor. Blend until combined and emulsified. Store in mason jar or air tight container in your refrigerator until ready to use. 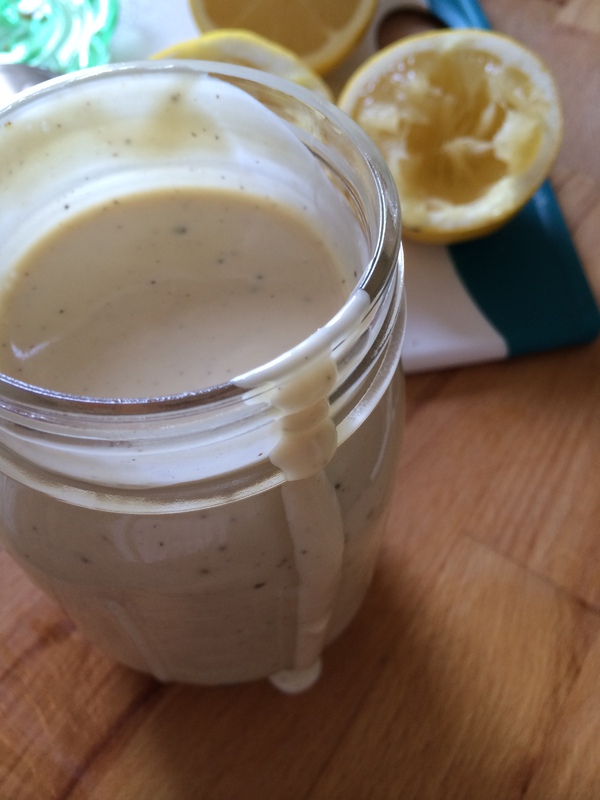 This dressing is best used right away but will last in your refrigerator for 3-4 days.